Are the lions of Gir in trouble? Arctic Ocean or plastic ocean? And off to space we go! A summer reading list for you! Have you played with glow-in the-dark toys? Enjoyed the way they just seem to glow with a magical light of their own? This effect is called fluorescence. 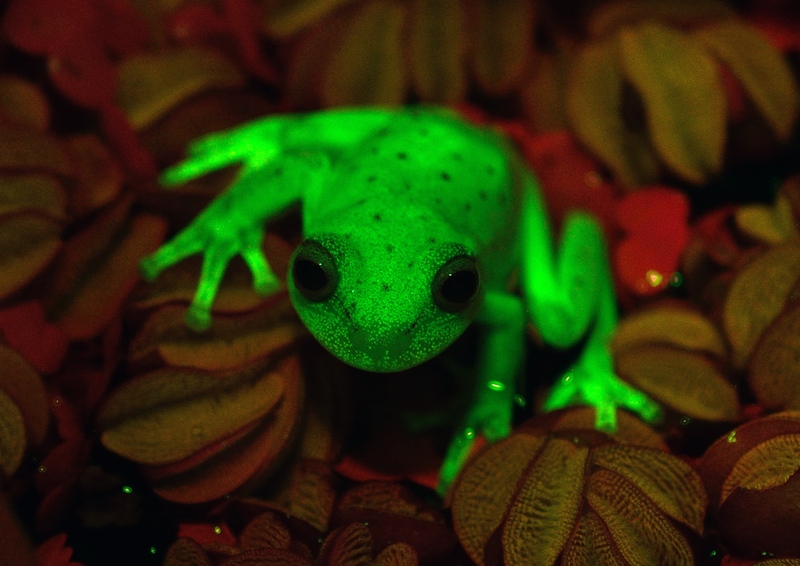 Did you know that many animals are also fluorescent and glow in the dark? In fact, the world’s first fluorescent frog- the Polka-dot Tree Frog-has been discovered in the South American country of Argentina. In normal light the frog appears to have a dull, mottled brown-green skin with red dots, but under ultraviolet (UV) light, it glows a bright fluorescent green. Light travels in waves. Fluorescence is the ability to absorb light of short wavelengths and re-emit it in longer wavelengths. When light from an ultraviolent lamp or torch falls on a fluorescent object, it bounces back almost immediately. During the bounce-back, some energy is lost-therefore, the light rays that are bounced back are longer than the original light waves that hit the object. This causes the object to glow, creating the fluorescent effect. Fluorescence is an effect seen in underwater creatures but not so often seen in animals that live on land. 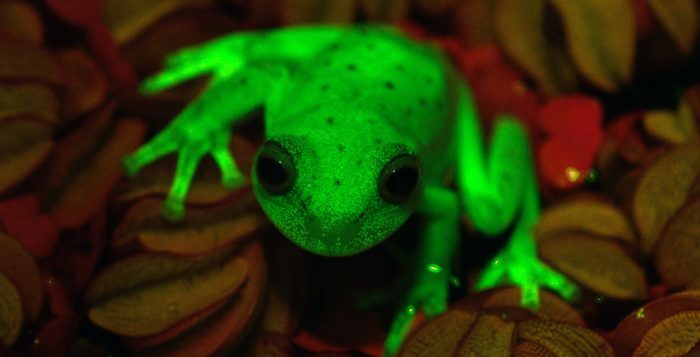 That is why the discovery of the Polka-dot Tree Frog in South America is important-this is in fact the first time that fluorescent frog has been discovered.